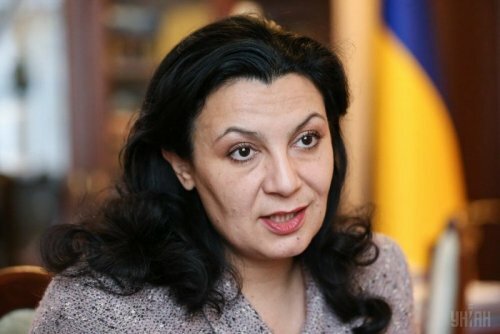 Ukrainian Deputy Prime Minister for European and Euro-Atlantic Integration of Ukraine Ivanna Klympush-Tsintsadze says Ukraine is ready to consider the creation of a free trade area with Albania to intensify bilateral cooperation, according to the Ukrainian government’s press service. "The intergovernmental [Ukrainian-Albanian] joint commission on trade and economic cooperation whose creation is under way should provide a good basis for starting talks on setting up a free trade area between Ukraine and Albania," she said. According to the official, Ukraine is ready to work on trade liberalization within the framework of the said commission. As UNIAN reported earlier, Ukraine has concluded 16 free trade agreements over the years of independence, covering 45 countries. The most extensive free trade agreement, Deep and Comprehensive Free Trade Agreement (DCFTA), was concluded between Ukraine and the European Union. Officially, the EU-Ukraine Association Agreement, including the DCFTA, entered fully into force from September 1, 2017. The Association Agreement was negotiated between 2007 and 2011 and signed on March 21 and June 27, 2014. Substantial parts of the Association Agreement were applied provisionally since November 1, 2014, and January 1, 2016, for the DCFTA. The agreement covers both trade in goods and services, public procurements, as well as the gradual harmonization of Ukraine’s legislation in line with European standards for integration into the EU’s economic space. In addition, Ukraine has signed a free trade agreement with Canada, including trade in goods and public procurement, Georgia (trade in goods), Macedonia (trade in goods), Montenegro (trade in goods and services), countries of the European Free Trade Association (Iceland, Liechtenstein, Norway, and Switzerland), as well as the countries of the Commonwealth of Independent States (on January 1, 2016, Russia unilaterally refused to fulfill its obligations under this agreement).